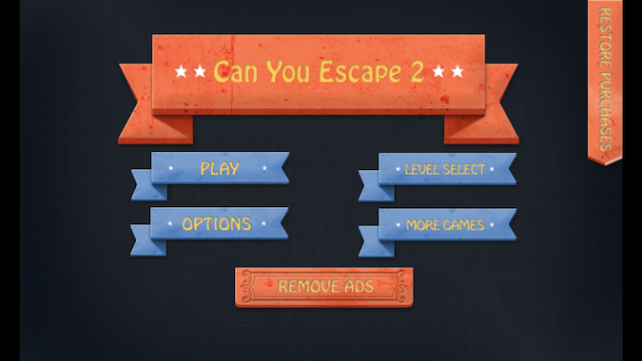 Can You Escape 2 (Free) by Kaarel Kirsipuu is a room escape game that features eight different rooms. Most games of this genre have only one room for you to escape from. 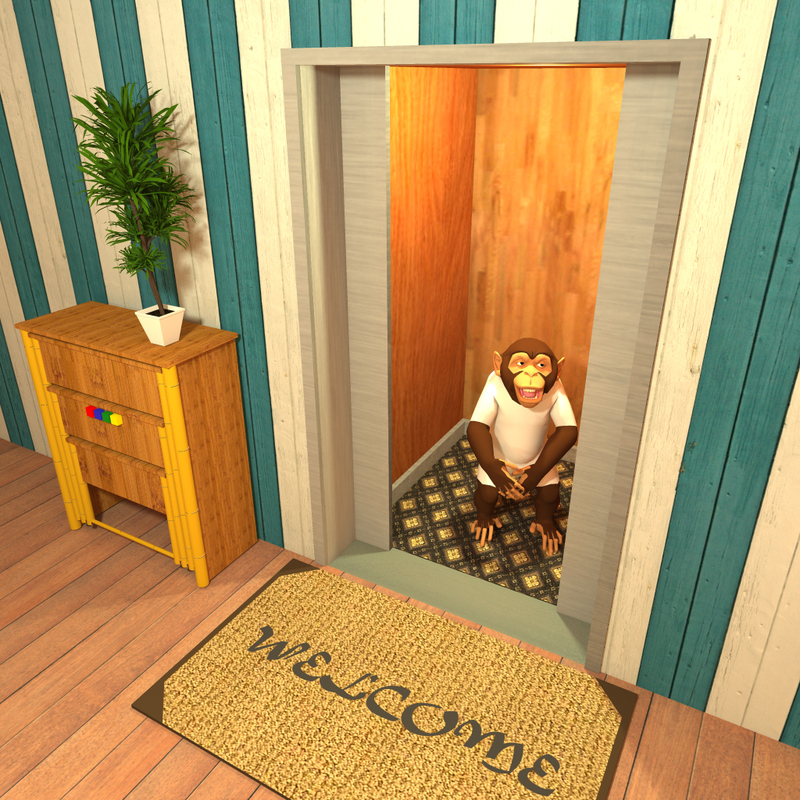 However, in this game, once you open the door there’s another room waiting for you to solve its puzzles. I rate room escape games on an easy, intermediate, or expert scale. I don’t test any of the expert games because I lack the skill to finish them. 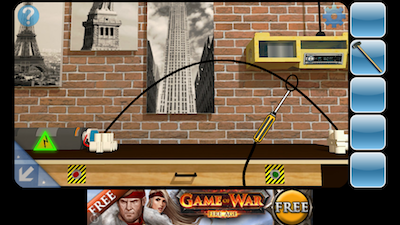 My opinion is that an easy game has hints readily available and straightforward puzzles. 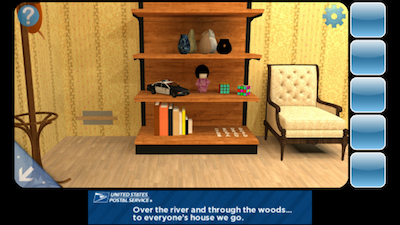 Items in your inventory don’t have to be combined or altered. 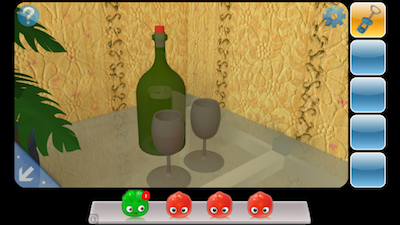 Intermediate games don’t have any hints available, you have to combine items in your inventory, and you have to carry clues from one area over to another to solve the puzzle. This game is right in the middle. 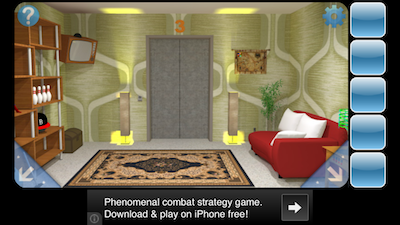 You can click on the question mark in the upper left corner and choose to watch a walkthrough of the room you’re in. You won’t see all of the rooms, so there aren’t any spoilers. However, you have to combine items in your inventory and carry clues over from one area to another to solve the puzzles. This game is a mixture of easy and intermediate. That makes this game a great bridge between the two difficulty levels. You have a walkthrough available to you if you get stuck, but you also learn how to deal with more complex gameplay. The rooms are all unique and the puzzles have different challenges. The touch sensitivity for picking up items and interacting with objects is great. 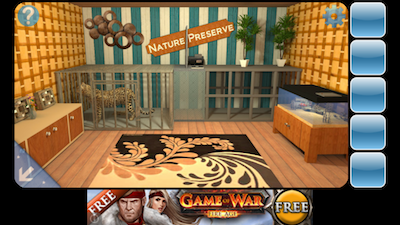 You don’t have to tap multiple times to pick something up or move around the room. 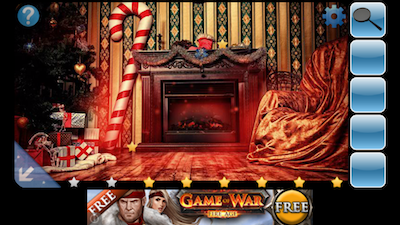 There are banner ads that run along the bottom of the screen, but they aren’t intrusive. You can easily ignore them. However, you can choose to remove them through an in-app purchase of $0.99. 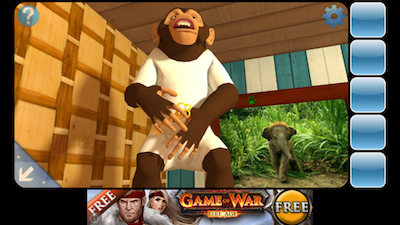 You also have to watch a brief ad in order to access the walkthrough menu. As far as room escape games go, I really liked this one. I think it’s a nice combination for people who want to try something a little more difficult, but don’t want to get stuck without any help. Can You Escape 2 is a universal app, and it’s available in the App Store for FREE!